Here are my very preliminary impressions on the TMW Snowmoto Xtreme. Bare in mind that I have been riding classic S28 (or A28) snowmotos with with wood core boards for 7 years and I have tried snowscoot like Jykk occasionally. 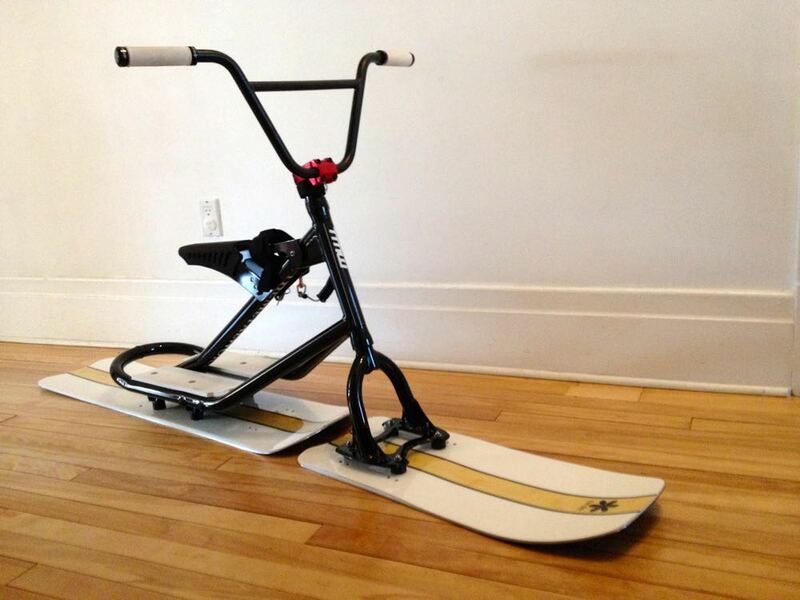 First, the Xtreme frame is light and stiff and has a familiar riding position as other snowmotos. The Day new all day boards are allot lager than what I was used to but it only took one or two runs to get used to them. It takes more commitment to transition from one side to the other while carving on groomed or hard packed snow. I really love the extended rear board in these conditions, it provides more decisive braking and control especially over icy surfaces. The front board’s length also allows me to dig the front end at the beginning of the side cut and execute sharp turns flawlessly. The flex in the boards seems to be a good balance between comfort on uneven surfaces and sufficient rigidity for high speed riding. The major difference with these boards is in deep/powder snow. I was blown away on how much buoyancy I had in fresh powder. The fact that I was floating only 3-4 inches (10 cm) deep made me go faster and allowed me to carve without slowing down too much. The combined light weight, riding position and rear board flex make the Xtreme really easy to lift from the font end; I was inspired to do drops, and push and pump the bike through moguls. In my search for the scarce powder snow, I had to follow the unbeaten path down double black diamond tree runs (also known as glades). The only drawback so far with the extended rear board is negotiating tight turns around rocks and trees. However this might be due to the fact that I am still getting acquainted with an incredibly fast sled. 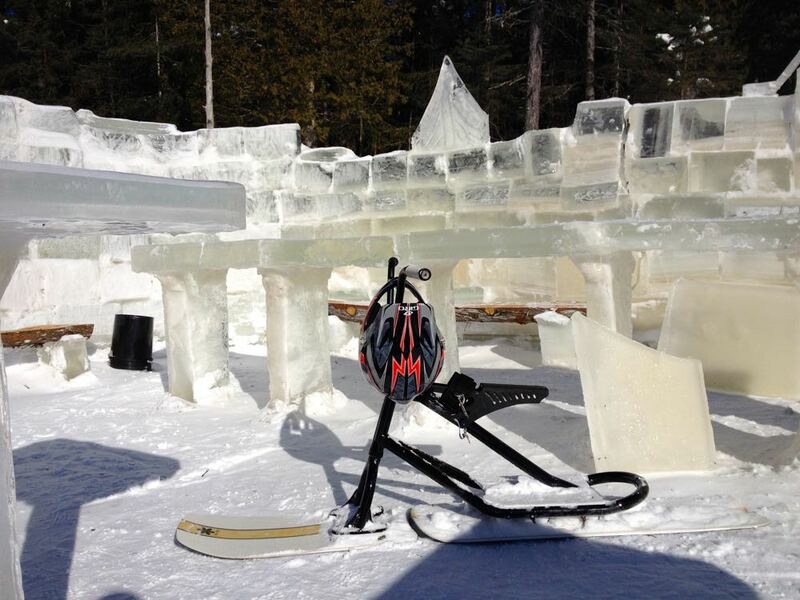 I have not tried the Xtreme in the snow park or on large jumps so far. I am waiting for a fresh snow fall to have a more forgiving ground to land on for the sake of my body and of my beautiful new machine if anything goes wrong. It would be my pleasure given the service you have provided so far.